Kiteboarders around the world have given an enthusiastic thumbs-up for our new 4G XTEND control bar. Our new 4G XTEND control bar gives new meaning to the word speed. 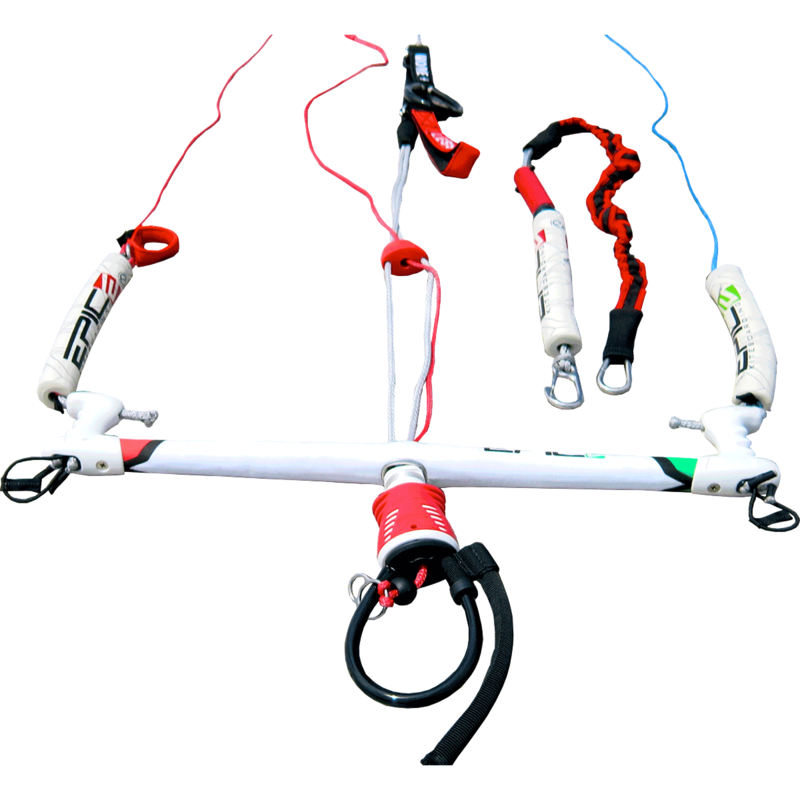 With over two years in testing, the new XTEND bar is an intuitive design using power/de-power straps above the bar clearly marked with 'MORE' and 'LESS' and our signature 'Wrong Way' for those newer to the sport. The newly designed chicken loop releases easily under load and is fully operational even when filled with sand. So easy in fact, that a dog can do it! The CL release can be reassembled in about 3 seconds allowing you to spend more time riding and less time messing about with a complicated system. The XTEND control bar is used with all of our kite models. 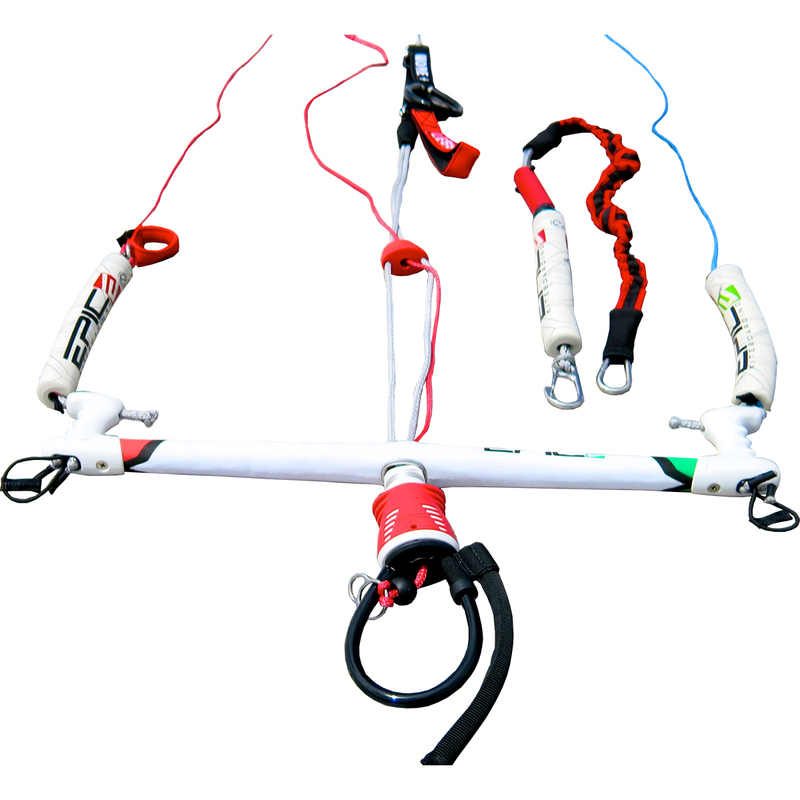 Depending on kite size and conditions, the outer lines can be shifted at the bar while rigging giving you flexibility. To top it off, we’ve made the bar comfortable, light on the hands and added a metal lining with a generous opening to prevent line wear.